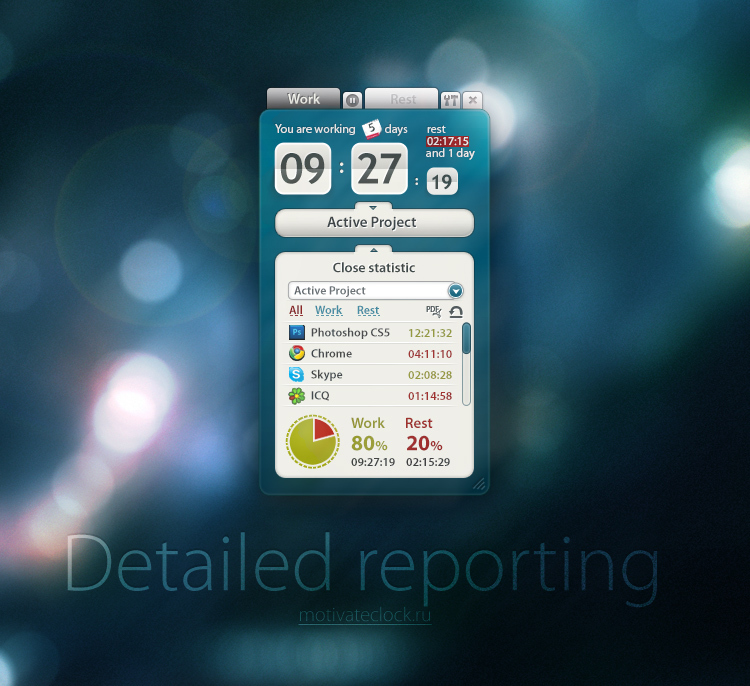 Motivate Clock is an excellent tool for planning your work time and tracking the results. It’s a free, simple and reliable tool allows you to track the time you spend using various applications and browsers. Now you can create personal projects for every task, track the allotted time, and analyze your personal effectiveness statistics. Understanding how much time is really spent for work and leisure is the key to success and increased earnings. After the first time you have used this tool, your conscience will no longer let you keep wasting your time on various irrelevant tasks. Who will we be useful to? Are you a programmer, assembler, manager, designer, writer, translator, photographer or an engineer?Whatever you do, if you’re paid hourly Motivate Clock is for you. It’s hard not to be excited about it when you can now work more efficiently and make more money. What can Motivate Clock do? We never stop adding functionalities to the program. But even what it can do now is plenty for improving your work efficiency. Downloading the program now, you will automatically receive update notifications. We will not let you miss a new cool feature. This is the default mode in which the program works upon installing. 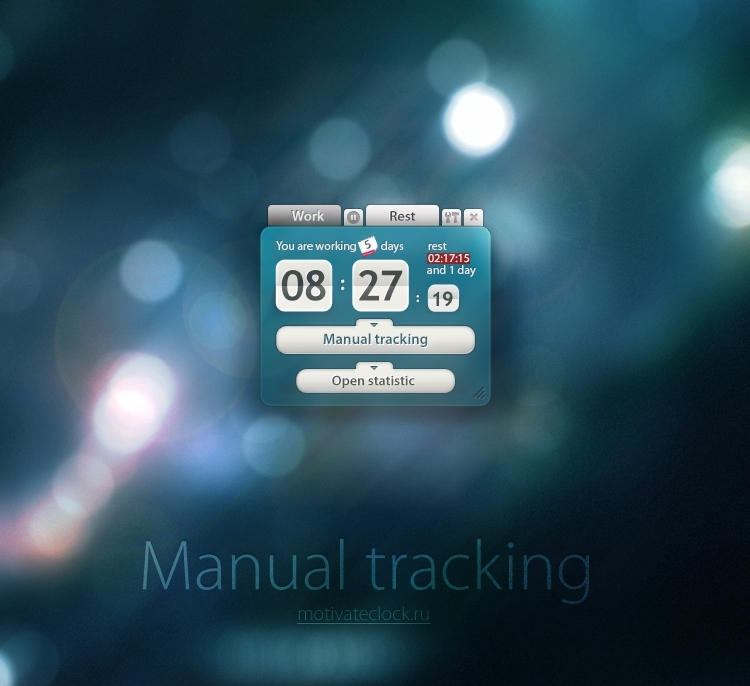 It allows tracking your work and leisure time by manual switching. Compare time figures percentage-wise and make conclusions. This mode is intended for simplified use of the program and time. 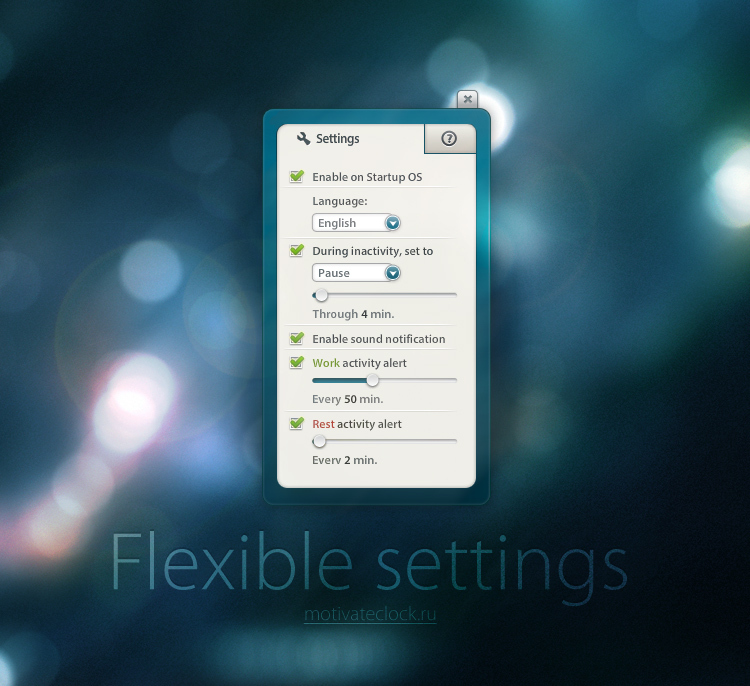 In this mode, you can create independent projects for which you can select specific applications. Then the program will automatically count every second spent on the selected project calculating the leisure and work time. You can view overall statistics figures as well as time breakdown among all applications involved.